She was an award-winning journalist and an internationally recognized triathlete. A loving wife to husband Peter Martinez, a mother, grandmother, sister and aunt. She was also a caring friend, and an inspiration. “Chicago Tonight” host and correspondent Elizabeth Brackett died Sunday from injuries sustained last week in an apparent cycling accident. As part of our celebration of Brackett’s many accomplishments, both professional and personal, we speak with her friends. Friends like Hedy Ratner, who met Brackett in the mid-1970s while the two were working on progressive political issues such as the Equal Rights Amendment and women’s reproductive rights. Ratner, co-founder of the nonprofit Women’s Business Development Center, said the two were best friends for more than 50 years, and that she played matchmaker between Brackett and Martinez. 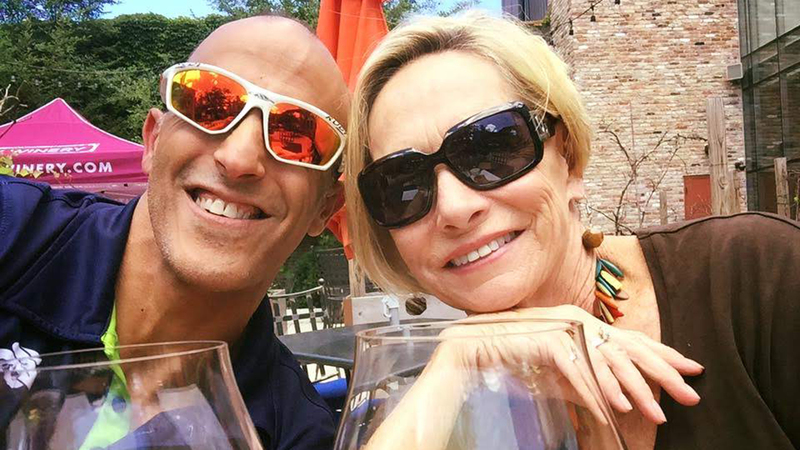 Sharone Aharon, Brackett’s triathlon coach who owns Well-Fit Triathlon & Training, can attest to Brackett’s competitive drive to push on despite adversity and obstacles. “Elizabeth has done many things in her life and one would assume she was fearless,” Aharon said. “This is far from the truth – Elizabeth was often afraid, however, she never let the fear hold her back. “I believe this is what made her accomplishments so great. She just refused to surrender to fear, she found ways to conquer it,” he added. Local comedian and journalist Aaron Freeman was friends with Brackett for more than three decades. In a YouTube video posted Monday, Freeman reflects on meeting his friend for the first time. It was 1986, and the two met on the dance floor at the long-gone Limelight nightclub. “Chicago Tonight” host Phil Ponce, Brackett’s longtime colleague, discusses her life and legacy with Ratner, Munson, Freeman and Aharon. Note: This story will be updated with video following our broadcast Monday evening.